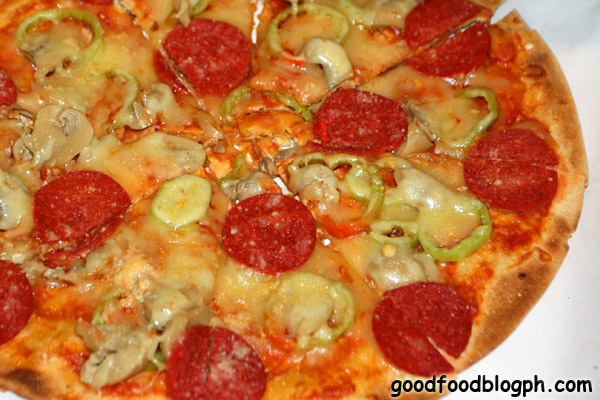 Filipino Pizza at MJ’s Café Bar – Eats Yummy! Ana and I with some other food bloggers attended a Pizza Fest at MJ’s Cafe Bar at Malate, Manila couple of weeks ago with an invitation from Yuri of Lost Tsinelas. Never thought that the place is just lying there waiting for us to be discovered. 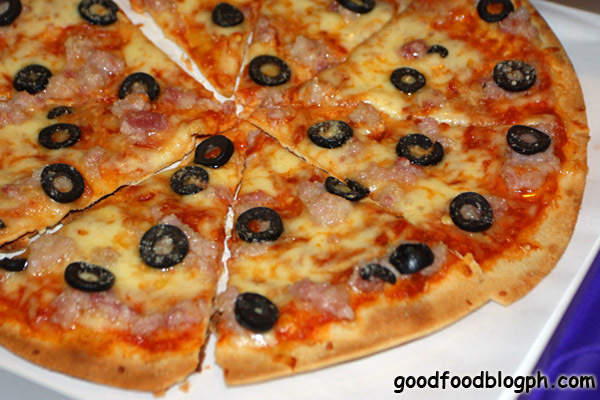 MJ’s Café Bar offers crispy thin, hand-rolled grilled pizza amongst its wide selection of good food in its menu. And their bestseller flavors for the grilled pizza are all-time Filipino favorite food recipes like Sisig Pizza, Bistek Pizza and the Tinapa and Red Egg Pizza. All these flavors are found on 8 slices of a 12-inch crunchy, grilled, thin and fresh dough that the restaurant makes. 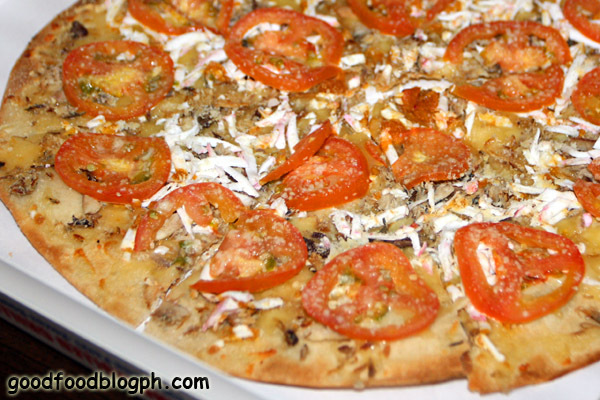 Sisig Pizza is MJ’s Café Bar’s signature pizza and a bestseller. 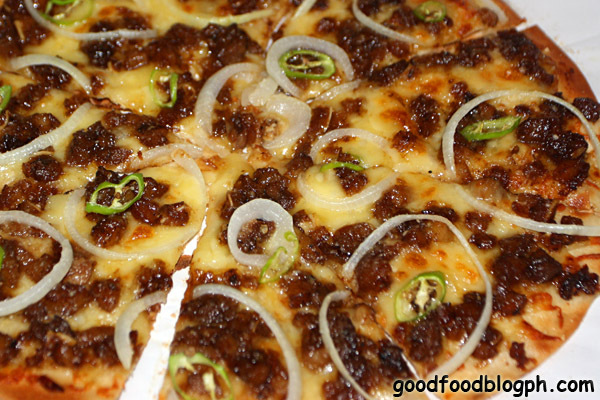 It is a Filipino favorite transformed into a pizza using the original sisig recipe that everyone will surely enjoy. 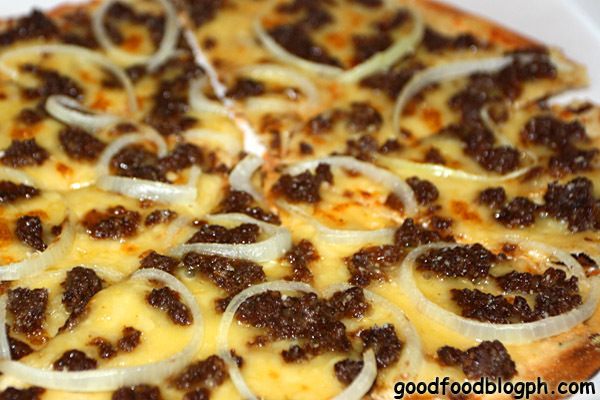 Bistek Pizza is for those who love Bistek Tagalog and will surely love this pizza even more. Ground beef marinated overnight in a special Bistek mix, cooked and topped on MJ’s very own hand-rolled thin pizza dough. Tinapa and Red Egg Pizza consist of tinapa flakes, red egg with tomatoes. A breakfast meal in a pizza. Yum! They also offer Classic flavors besides the signature ones. 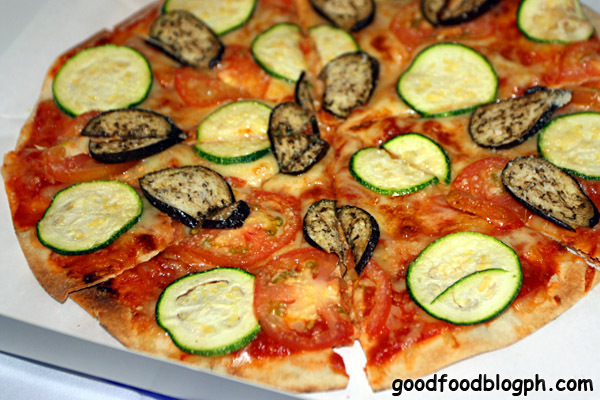 Veggie Splurge Pizza is a variant for vegetarians. It has eggplant, zucchini and tomatoes, topped with mozzarella cheese. 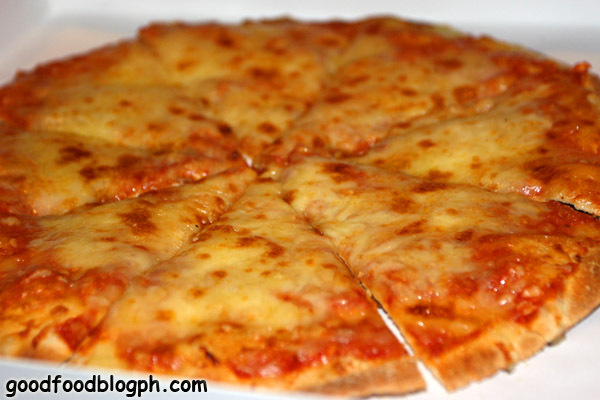 Cheesy Garlic Pizza has fresh bits of garlic topped with mozzarella cheese. 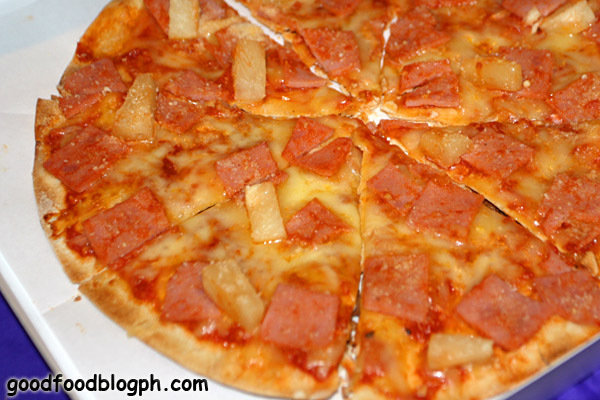 Hawaiian Surprise Pizza has fresh chunks of pineapple and ham, topped with mozzarella cheese. Neopolitan Pizza is a slightly spicier pizza meant for the adventurous. It has bacon bits, chili and black olive slices and topped with mozzarella cheese. New York Special Pizza is MJ’s very own of an all-American classic. It has fresh bits of mushroom, pepperoni and green pepper, topped with mozzarella cheese. We tasted all these pizzas and all are seemingly good food. With prices ranging from Php 210 to Php 335, these pizzas are so affordable since MJ’s Café Bar offers a buy 1 take 1 promo that started last November 11, 2011. 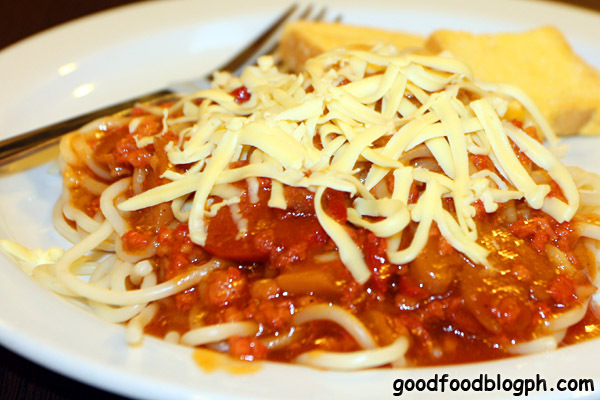 We also had Spaghetti Filipino, an MJ’s Pasta Paboritos and Crispy Pata which is one of MJ’s Filipino Flair. 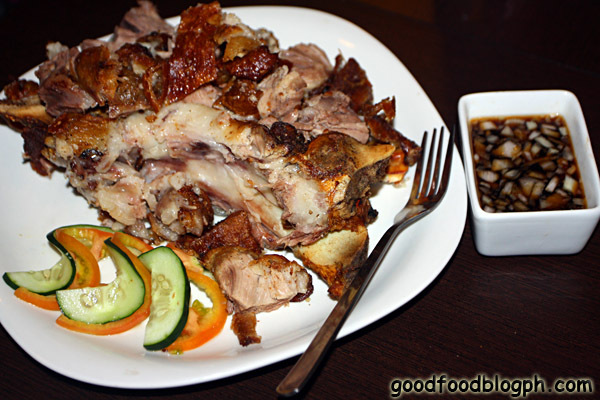 Try to visit MJ’s Café Bar and have a wonderful experience eating Filipino pizza. They are open from 10am to 2am daily. They also deliver with no minimum requirement provided that you are in the 2km radius around Baypark Malate, Manila with a fixed delivery charge of Php 40. They also serve rice meals like MJ’s Famous Tender BBQ Rice Meal, which has two sticks of tender pork barbecue which is priced at Php 60, Breaded Fish Fillet Rice Meal for Php 80 and Grilled Liempo Rice for Php 85.
hello there! Dine at Lombardi Antipolo to try their unlimited pizza! !Its a sister company of Asian School of Hospitality Arts. really love pizza and really love filipino dishes!! first place i'm going to visit when i get back to philippines..